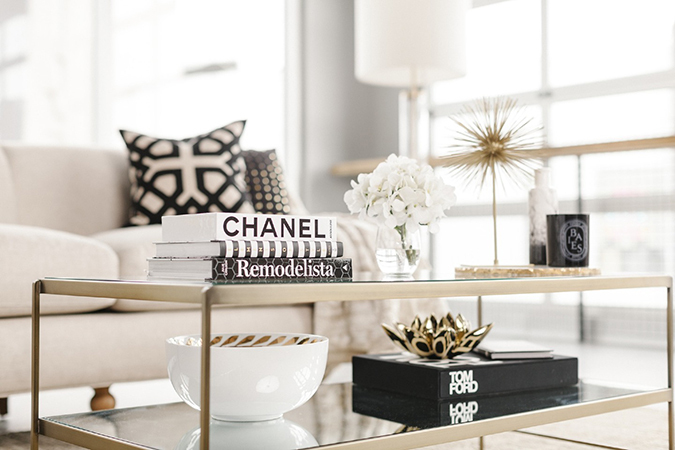 If there’s one thing that competes with our love of fashion, it’s our obsession with interior design. 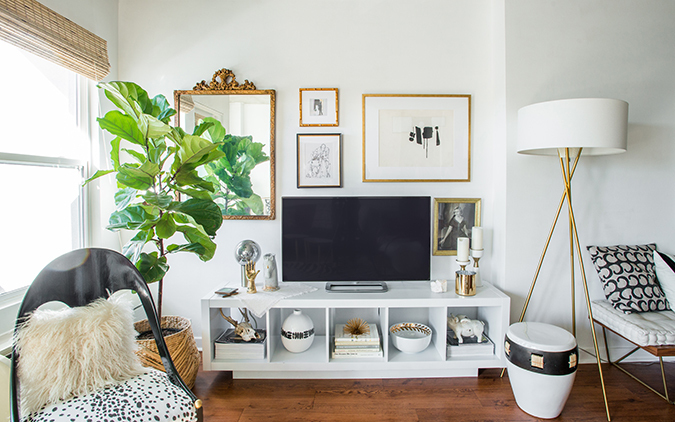 Over the past few years—as we’ve all made the transition out of college apartments and into more permanent living quarters—our lust for new décor pieces has almost eclipsed our itch to shop for clothing, shoes, and accessories (don’t worry, we said almost!). We’ve traded up our budget items and hand-me-down furniture to make way for chic living areas, modern bedrooms, and serene nurseries. At this point in our lives, having a cozy, well-designed space is a top priority. Havenly is an online interior design service that makes working with an interior designer both easy and truly affordable (we’re talking $79 for the Havenly Mini package and $199 for a full design package). 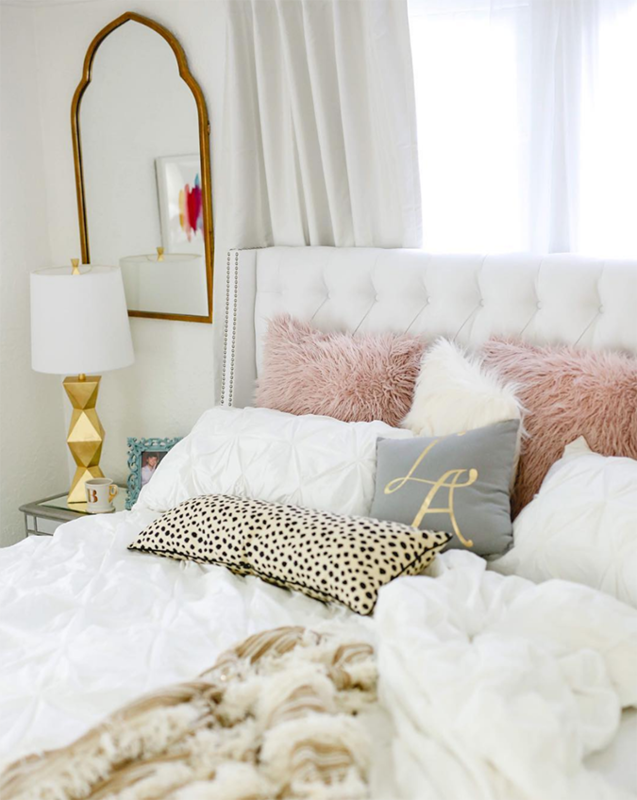 Havenly pairs you with your dream designer who perfectly suits your style, and with just a few easy steps, they bring your Pinterest décor dreams to life. So today we are partnering with our new friends at Havenly to share some of our best tips for redecorating your space like a pro, and making the process simple, efficient, and most of all, fun! No matter what your interior design project is, the very first step should always be figuring out your budget. It’s always best to have a final number in mind before you begin so that you know whether you can afford to splurge on that expensive bar cart you’ve been eying, or whether it makes sense to spread out your funds across other items on your list. One of the biggest misconceptions about professional interior design is that you need to have a huge budget to even be considering a redesign. That might be true of traditional interior design, but it’s far from the case when you’re working with Havenly. No matter what your budget is, Havenly designers can help you find and choose the best pieces. Havenly designers will also incorporate pieces you already own and love into your redesign. And since the Havenly design fees themselves are so nominal, you really don’t need a huge chunk of change to get started. Making sure you only buy the best items will save you money that you might spend replacing them in the long run. Knowing what your style is will stop you from spending on things that might not fit with your overall vision. But even if you know what you like and what you don’t like, it can be hard to define your taste in a way that will help you find the right designer to work with. Havenly makes it easy to truly pinpoint your décor style with their style quiz, which matches you with the perfect designer based on your style and needs. With your style in mind and the perfect designer by your side, the whole process will be enjoyable and have the best possible outcome. One mistake that many people make when they are trying to design a space on their own is buying items piecemeal and then realizing they don’t quite fit together. This is how working with Havenly is different. Their designers help you perfect your overall design and watch it come together before you buy a thing. The Full Design Package from Havenly includes up to three style ideas, two design concepts, and a 2-D room layout, while the Havenly Mini includes two to three design ideas and one shoppable design concept. You’ll work with your designer on refining your design ideas, concepts, and room layouts until you are 100% pleased with what you see. Only after the mock-ups are all finalized you only pay for the pieces you want to purchase. Now comes the really fun part: shopping! 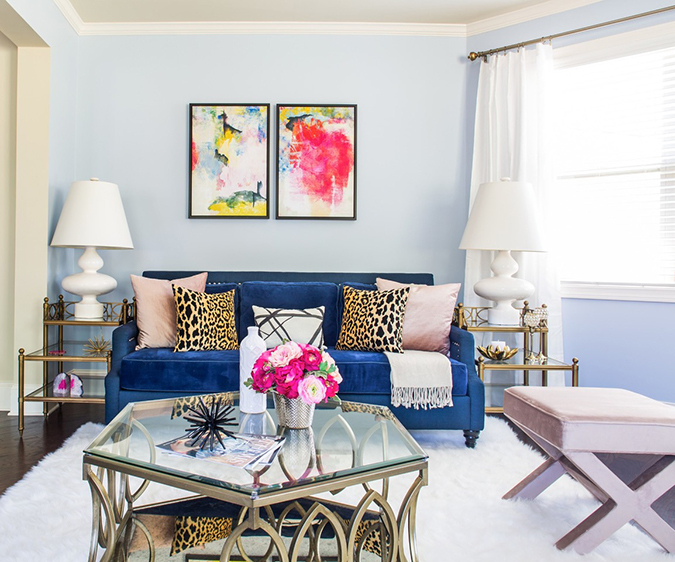 The professional designers at Havenly know all the tips on what to spend on and where to save (For example: Spend less on accessories like pillows and décor so that it’s easier to swap them out when you want a change!). Havenly’s designers are also on top of trends and everything new in the interior design world. Once you’ve gone through all the mockups and layouts, your Havenly designer will put together a personalized shopping list to suit your style. The Full Design package also comes with a $50 shopping credit to add to your shopping budget. Havenly also has a concierge ordering service and will handle all of the ordering logistics for you. Everything is done online or on Havenly’s new easy-to-use app, to make the process as streamlined as possible. There you have it! The thing we love most about Havenly is how they make the interior design process accessible and affordable for everybody. And at the end of the process, you’ll receive a beautiful, personalized design. If Havenly sounds like something you would love as much as we do, then today is your lucky day… We are offering all LaurenConrad.com readers 20% off Havenly’s Full Package using the code LAUREN. Sounds like a home makeover is in your very near future! Which room in your home could use a redesign?